Set in beautiful Marietta, Georgia, Sterling Estates wanted to maximize their space by transforming an unused storage room into an engaging space for residents. The catch? It needed to be done in 70 days – in time for their open house. 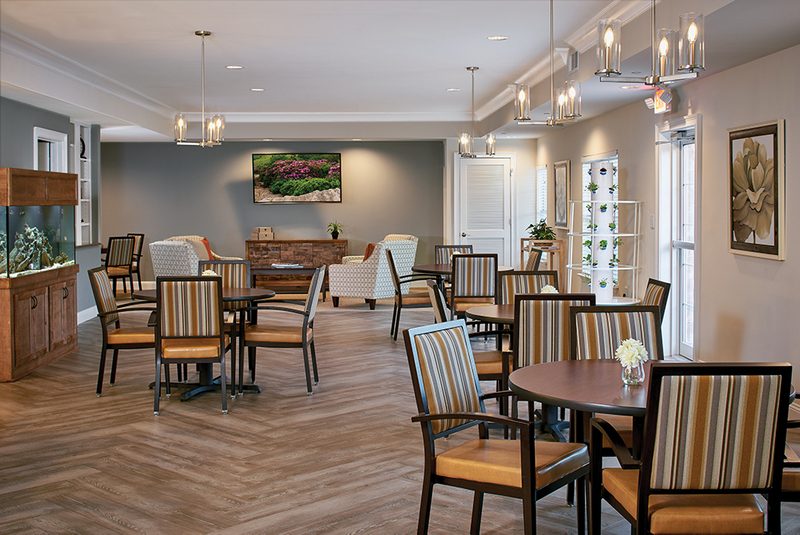 With such a short timeline, Sterling Estates knew they needed a quick solution that boasted high style and the right functionality for Senior Living. They turned to Direct Supply’s Senior Living and design experts for help transforming the space. When it came to the design, our team selected fresh finishes and furniture to completely transform the storage room. 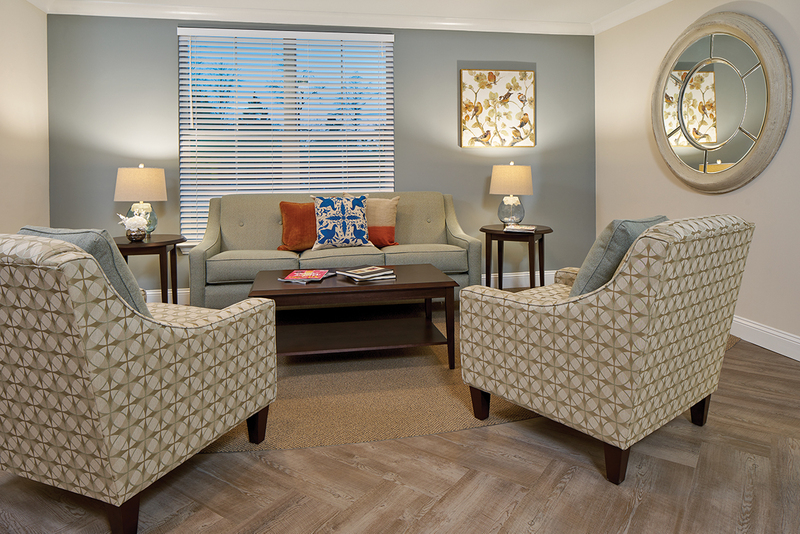 To ensure the project would be completed on time, our designers chose quick-ship furnishings made for Senior Living. Clean lines, natural light and adaptable furnishings all achieve the flexible, useful space the client wanted. Since the renovation was completed, resident engagement with the room has exceeded expectations. 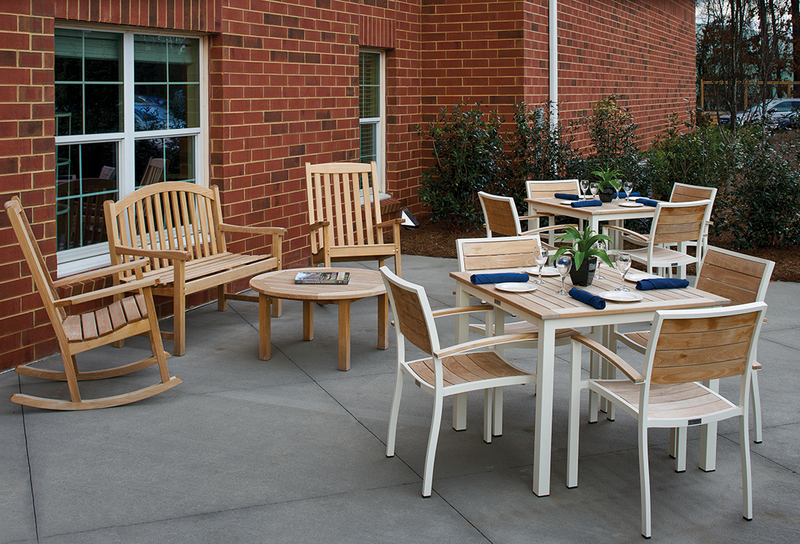 Residents are proud to have a space to call their own, and it has even helped boost nutrition and socialization. 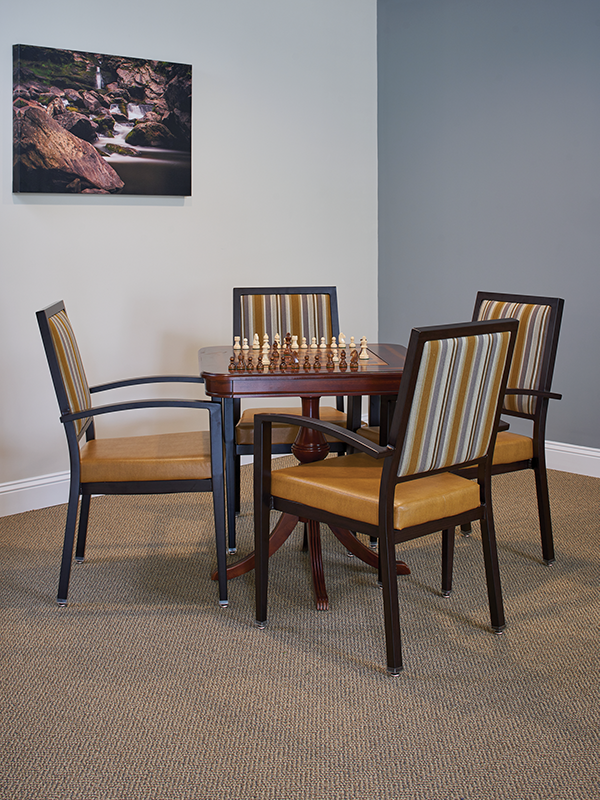 The renovated space has quickly become a go-to destination for residents at Sterling Estates. Connect below or call 1-800-893-7222 today! Are you interested in a free building walk-through?